Michael Moore: Next time you are feeling poorly, I suggest you go on down to Cuba for your treatment. Perhaps you can receive the world-class care that Fidel Castro has received. HAVANA (AP) – A statement signed by Fidel Castro sought to reassure Cubans Wednesday that the 80-year-old Cuban leader was recovering well from several operations, saying his weight was stable and he was eating solid foods after “many months” of intravenous feeding. In the most detailed assessment of Castro’s health since shortly after he fell ill almost 10 months ago, the statement said: “It wasn’t just one operation, but various. Initially it wasn’t successful and that had a bearing on my prolonged recuperation.” . . . .
A January story in the Spanish newspaper El Pais described Castro as being in “very grave” condition after at least three failed operations. The Cuban government denied that report. If the supreme leader can’t even get a decent operation, what will happen to you Mr. Moore, just an ordinary “Sicko”. His comments on his health came in the second half of a statement about food production. There have been 11 written communiques signed by Castro in recent weeks, most of them lashing out at U.S.-backed plans to use food crops to produce biofuels. Hmmm… a desire to be red versus a desire to be green. This could cause some internal turmoil for a certain segment of our population. What’s a good uber-liberal to do? CANNES, France — About a decade ago, when Leonardo DiCaprio was on the cusp of megastardom and Al Gore was the U.S. vice president, the two talked together about global warming. Now an all-out environmental activist, DiCaprio has followed Gore’s lead by bringing a climate change documentary to the Cannes Film Festival. 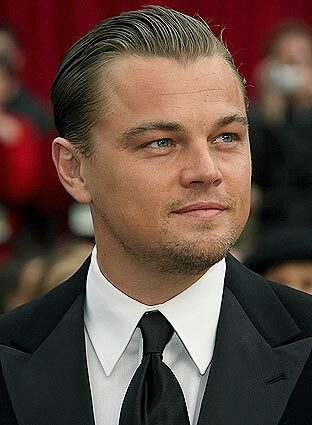 DiCaprio co-produced and co-wrote “The 11th Hour,” which explains how humans have changed the climate and how to fix the damage. “It’s such an amazingly large issue, and you suddenly you feel like, what can I do? What can I do? It’s too big for me to deal with,” the 32-year-old actor told reporters Saturday in a beach cabana overlooking the Mediterranean. Yes, my son, you have learned well. Jet off to beautiful places to pitch a movie about a made up catastrophe you don’t understand. Look like you are deep and people will buy it. Next week, I will teach you about the carbon offset business…..
One of my favorite daily rituals is to Google “global warming”. It is always good for a laugh to see the most recent maladies blamed on climate change. In just a few days of searches you can find that almost any of the worlds ills can be blamed on that inconvenient truth. Those pesky terrorists have nothing over the global warming menace. Ah, too many bugs in one place and too few in another. I do like the sound of that. It’s almost disco-like. Of course this was a long time ago, but it had to be mentioned by some scientist to scare a few folk. Scientists say that the days could become shorter. Really bad for the workaholics of the world. KYOTO, Japan — Japan pledged $100 million in grants to the Asian Development Bank on Sunday to combat global warming and promote greener investment in the region and called for a stronger international agreement to cut greenhouse gas emissions. One does wonder where such money will go when supporting sustainable development. My bet is to crafty businessmen and government bureaucrats. They always make money when they can find a way to scare the masses. Of course some of our politicians are lobbying for a carbon tax (Chris Dodd), while Al Gore goes more entrepreneurial by selling carbon absolution. Either way the big guys make money. They either line friends pockets by having them study it or line their own pockets by selling something. All of this sounds like our last catastrophe Y2K. Remember? As the year 2000 draws closer and closer organisations are becoming more frenetic in their efforts to ensure their computer systems are Y2K compliant. For example, around 30% of the 1999 IT budget of the top 100 European companies is being spent on Y2K compliance. There will be system crashes and there may be catastrophic outcomes resulting from these crashes. This is arguably the first world wide IT problem that strikes all sectors simultaneously. It presents a unique and unprecedented threat to our civilisation which has evolved into a computer-dependent society and an interdependent planet that is fragile and susceptible to a domino effect when a computer system crashes. Scare the masses. Blame your pet catastrophe on every sort of unimaginable horror. Make wads of cash, while looking like a concerned citizen. I don’t think this started with Y2K and global warming. It seems snake oil salesmen did the same thing. Hucksters will always be about. Maybe it’s time we listen carefully to their pitch and really examine what they are selling. This is the actual headline from a May 1, 2007 article in Dominican Today. I’m sure the Dominican government is relieved. On April 15, I posted that Speaker Pelosi has on several occasions quoted a phony Old Testament verse to back up whatever cause she is espousing that day. humanity’s greatest challenges yet – global warming. not our grandchildren, or great-grandchildren, but our own children. Sorry Speaker Pelosi, but it is a dishonor to the God who made us to quote as from His Bible your made-up hooey. This really irks me, and I am going to speak out every time it happens. Best Global Warming Headline Ever! Fake band reunites to save us from the fake global crisis! Also they expect to have over 100 musical headliners at these venues. SOS is designed to trigger a global movement to combat our climate crisis. It will reach people in every corner of the planet through television, film, radio, the Internet and Live Earth, a 24-hour concert on 7/7/07 across all 7 continents that will bring together more than 100 of the world’s top musical acts. Live Earth alone will engage an audience of more than 2 billion people through concert attendance and broadcasts. MSN has partnered with SOS to use its reach to make the Live Earth concerts available across the globe. The Live Earth audience, and the proceeds from the concerts, will create the foundation for a new, multi-year global effort to combat the climate crisis led by The Alliance for Climate Protection and its Chair, Vice President Al Gore. SOS was founded by Kevin Wall, who won an Emmy as Worldwide Executive Producer of Live 8. How will those 1 million concert attendees get to the concert? Does anyone really think they are all going to walk? Will the 100+ stars performing at these concerts fly commercial and take public transportation to the concert venues? How many support people must be employed around the globe to broadcast this event? Will they fly then drive to work? Will 2 billion televisions/radios/computers all tuned into this concert at the same time create a carbon footprint? How much trash will be produced at the venues? Will Sheryl Crow have a problem with all the toilet paper used by these 1 million concert goers? Will a live concert in Antartica harm the delicate ecology? And my biggest question: How much money will Al Gore make as Chairman of this foundation? This grandiose extravaganza is all well and good. It allows stars to visit exotic locations (surely on someone else’s dime), most likely by luxurious means, while feeling good about saving the planet. But, if as the organizers claim, our planet is in crisis, this surely adds to the earth’s burden. But, in this do as I say not as I do world of Hollywood, media, and music, the end always justifies the means. And in the entertainment industry, self-righteously raising awareness is the ultimate means to be attained. I suggest that we the people do something to save the planet: Let’s all turn off our televisions, radios, computers and cell phones that day. Let’s putter in our gardens or walk in the park. Let’s not travel to exotic locations to watch the likes of Sheryl Crow preach and perform. 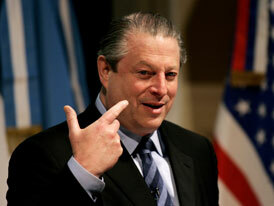 Let’s vow not to use stamps or envelopes to send donations to line Al Gore’s pockets that day. We, too, can change the world.